India contains 27 sedimentary basins with only seven of these having produced hydrocarbons. 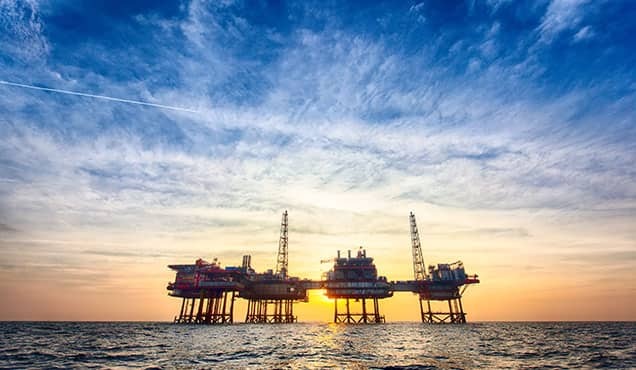 The Kutch Basin is set to become the eighth successful basin to produce hydrocarbons from India; Oil and Natural Gas Corporation Ltd (ONGC) is planning production from two discoveries in the offshore shelf area by 2020. It will be the first new producing basin in 30 years; since the Cauvery Basin on the east coast of India. The Kutch Basin is in the state of Gujarat, on the western margin of India. 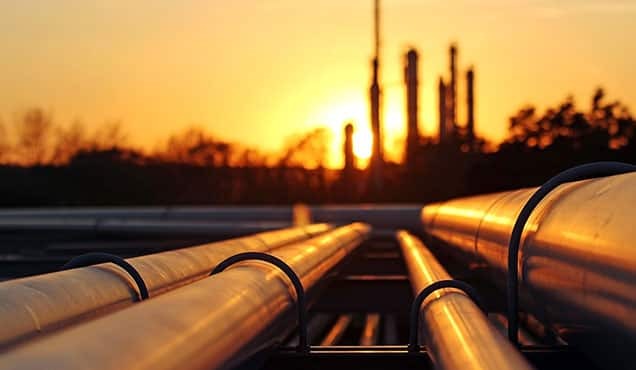 It is classed by the Directorate of General Hydrocarbons (DGH) as a Category-II basin (Proven Petroliferous Basin awaiting commercial production). This article outlines the geology, exploration history and proposed development for what is likely to be India's eighth producing basin. The Kutch Basin is a late Triassic to Cretaceous rift basin that evolved into a passive margin basin during the Cenozoic. Subsequent development and geometry of the basin has been influenced by the underlying regional and stratigraphic succession and structural framework dating back to the Archean. Evolution of the basin was related to the rifting of the India and African plate in the late Triassic to early Jurassic; rifting initiated along the Delhi Trend (east to west), with resulting subsidence of the block between the Nagar Parker fault in the north and the North Kathiawar fault in the south. Sediment deposition commenced after subsidence and consisted of continental, fluvio-lacustrine sediments. The initial block was modified by intra-basinal tilted fault blocks and half grabens, caused by the development of major faults parallel to the basin margin faults. These major faults influenced sediment deposition and facies distribution during later rift phases. During the middle Jurassic, a major marine transgression took place whilst rift related subsidence decreased in intensity. Marginal alluvial fans, tidal flat and shoreline systems developed in the north and centre of the basin. Further west, shallow marine and shoreline systems dominated. The Nirona Formation and the lower part of Kaladongar Formation show fluvial characteristics. Continued transgression resulted in deepening of the marine basin and the depositional systems; the Juran Formation indicates a deltaic to marginal marine environment. The end of this phase was marked by a withdrawal of the sea from the basin margins during the upper Oxfordian. Basalts developed from the late Jurassic; the north northeast - south southwest Median High began to develop, becoming a major hinge zone in the basin resulting in major subsidence to the west, and very restricted subsidence to the east. The major east - west faults/ridges continued to develop during this genetic unit, further dividing the basin in to a series of highlands and lowlands controlling sedimentation patterns. During the late Jurassic and Cretaceous, significant uplift and rifting took place, particularly during the Late Cretaceous during the separation of Madagascar and northward drift of India and Seychelles. The Mascarene Basin opened up during this period. The early Cretaceous was dominated by a sudden increase of fluvial sediments from uplift of the leading Western Indian margin as a result of the separation of Australia and Antarctica from the trailing edge. At this time, the Himmatnagar Formation in the Cambay Basin and the Bhuj Formation in the Kutch Basin are deposited under fluvio-deltaic condition with intermittent marine incursion. The sea floor spreading centre jumped northeastwards separating greater India from Seychelles. Around 65 ma ago, India moved over the Reunion hotspot; marked by the effusion of the Deccan Traps. During the Paleocene and Eocene the Indian plate continued moving northwards. The Matanomadh and Naredi formations were deposited under lagoonal to near-shore environments in the onshore area; the Nakhtrana and Jakhau formations were deposited in near-shore conditions in the offshore part of the basin. During the late Eocene, the Indian plate underwent soft collision with the northeastern margin of the Indian Plate, interacting first with the Eurasian Plate, resulting in subduction below the Tibetan and Burmese plates. During the Oligocene to Miocene period, the maximum rise of the Himalayas was recorded and it is considered that an occurrence of this was shallowing up and a high input of clastic material in all the basins in the western part of Indian plate. 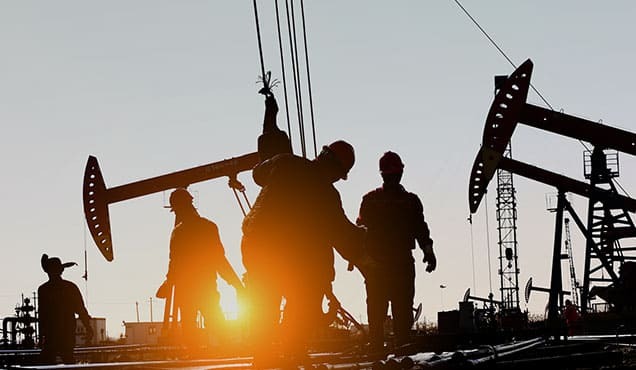 The total in-place oil and gas reserves in the basin is around 110 million metric tonne, out of which ONGC expects 29.87 million metric tonne to be recoverable. ONGC has made 17 discoveries within the basin, including two during the financial year 2016 to 2017. 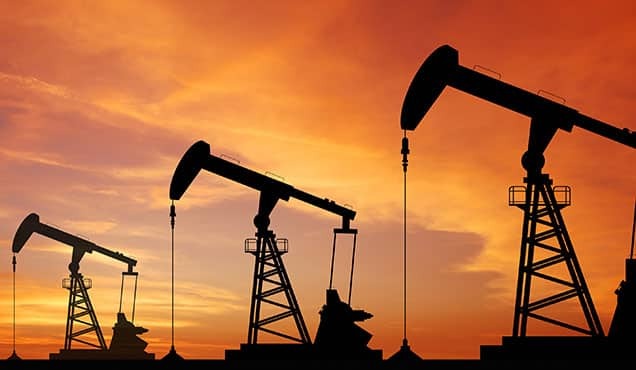 KD-1 discovery in 1984 was the first within the Kutch Basin and flowed oil with gas from the Eocene Jakhau Formation from a limestone/sandstone interval. The Eocene Structural Play's principal trapping mechanism is drape anticlines formed as a result of differential compaction of reservoir units over residual rift-generated topography (fault blocks). These residual structures reflect the main rift fabric and have a north northwest - south southeast orientation, which the subsequent drape structure then acquires. The main reservoir consists predominantly of shallow marine limestones; silts and argillaceous in nature. The Jakhua Formation occurs in the middle and outer shelf area, unconformably overlain by shallow marine Fulra Formation which may also have hydrocarbon potential. The Fulra Formation is more widespread and reaches into the onshore area, in the Kutch Mainland Uplift. Sealing is understood to be intraformational from shale units; understood to not be abundant in the Jakhau Formation, but limited data is available. It is worth considering sealing potential as well from tight argillaceous limestone intervals for this play. GK-22 discovered gas within the lower Cretaceous sandstones of the Bhuj Formation in 1992. The field opened up what is understood to be the most important play within the Kutch offshore basin area. Two discoveries GK-39 1 and GK-22C 1 contain gas which, in 2004, contained around 80% of total reserves discovered in the basin. The main reservoirs for this play are the Bhuj and Naliya formations; the upper Jurassic to lower Cretaceous Jhuran Formation is considered to have potential as well. Proved trap types consist of anticlines formed from differential compaction over rift generated structures. Reservoir quality in well-sorted, medium to coarse grained sandstones is good; average porosity of ~18% was encountered in the GK-22C 1 discovery with permeability averaging 32.8 mD. In general, porosities are expected to average between 10 - 12% in this play, decreasing with depth to around 6%. The Bhuj Formation is present across the Mainland Uplift area and across the shelf. Larger reserves have been encountered in the Coniacian to Santonian Naliya Formation (GK-39 1 Discovery); a distal equivalent to the upper part of the Bhuj Formation in the middle to outer part of the shelf, consisting of distal deltaic to shallow marine lithologies. Non-reservoir quality marls and shales dominate this formation but intervals of calcareous sandstone occur with possible depositional environment on the delta front or in offshore bars. The Jhuran Formation is widespread across the Kutch Mainland Uplift area, as well as in the Banni Graben. It extends out onto the shelf, and whilst expected to extend across this area, drilling has yet to confirm its presence. Sealing for this play includes the shales (Bhuj Formation) and upper Masstrichtian to lower Paleocene Deccan Trap Volcanics; the latter is the seal in both discoveries and a possible regional seal for the play; it is not present however in the Banni Graben and eastern part of the Mainland Uplift. These thick basalts, along with intertrappean shale units are expected to provide very good seals. However, locally it can be compromised by primary vesicles and secondary features such as fracturing, weathering and joints/faulting. The degree of jointing/fracturing increases adjacent to large structures, decreasing seal efficiency and prospectivity nearby. The Jhuran - Bhuj Petroleum System provides the principle source intervals of shales from the Jhuran and Bhuj formations, interbedded with the reservoirs. Other possible contributions are from the Jumara and Nirona formations. Mature source rocks within this petroleum system appear to be confined to the offshore region and the western part of the onshore; greater thicknesses of Mesozoic and Pliocene - Miocene units have resulted in sufficient burial depths for maturation. 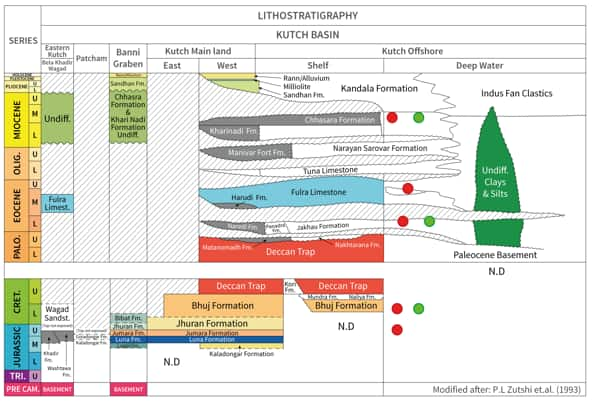 Maturity of the upper Cretaceous part of the Bhuj Formation was oil mature in the upper Miocene (offshore); peak oil generation phase is at present. Currently this play is dominated by gas, but no data is available as to when generation began. Migration is simple with source units closely associated with the reservoirs. GK-28 1 (2009) was declared as a gas discovery. 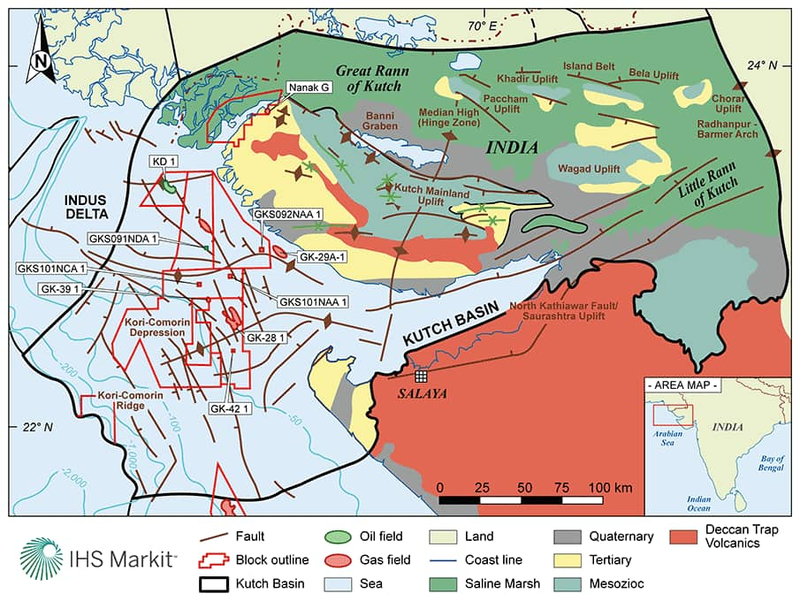 The well drilled in a fault influenced trap and was the first hydrocarbon discovery in the Miocene age reservoir within the Kutch Offshore region. GK-28 2 (2010) was the first oil discovery within the Cretaceous in the entire western offshore region and has been identified as a fault enclosure trap. Recent discovery GK-28 10 (2015), was the first discovery in the basin from Deccan Trap Formation and flowed gas. The GK-42 field was discovered in March 2012 and lies approximately 13 km to the south of the GK-28-1 field. The discovery came after the discovery well, GK-42-1 encountered gas and minor oil upon testing in the Paleocene Nakhatrana Formation. Appraisal well GK-42 3 was drilled to a depth of 1,480 m in the GK-28 PML and delivered commercial gas rates. 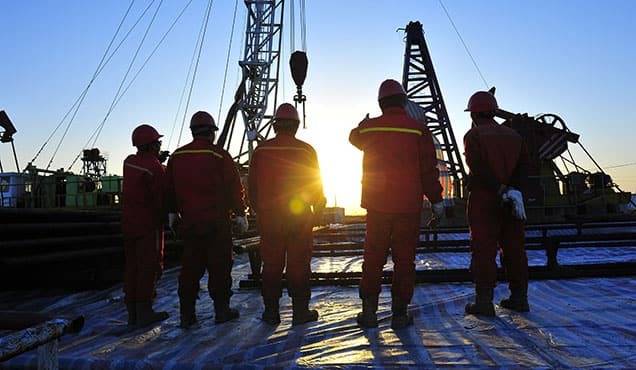 ONGC has previously invested around USD 2 billion on exploration and appraisal in the basin and now plans to implement the next phase of development activities during the forthcoming financial year. It is thought a cluster development, to first commingle production from more well defined Pliocene to Miocene age discoveries is to be considered, expected to produce in the next three years. 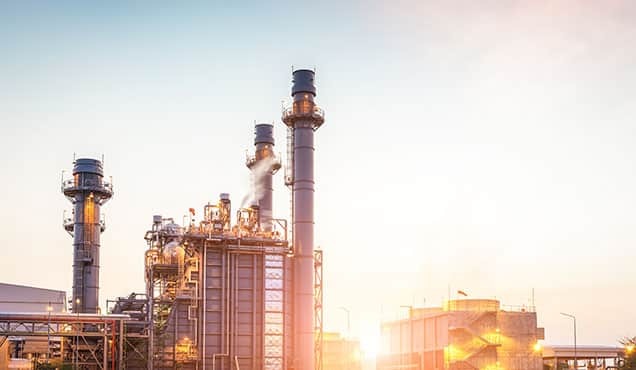 The three year plan was understood to include an initial period of additional exploration for incremental reserves, a second year of development work setting up infrastructure and a final phase where production would commence within the third year. 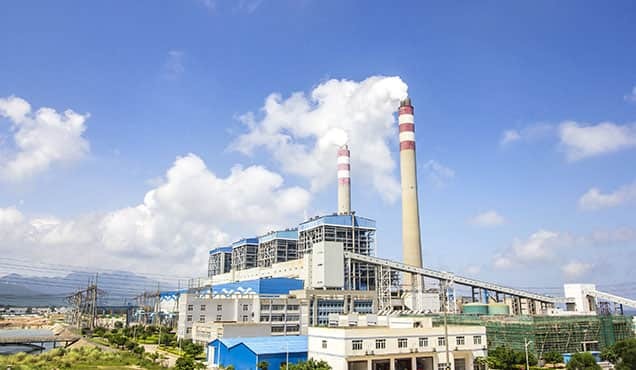 In addition, an official source, reported in the media, mentioned that efforts are to be made to enhance the production from the Mesozoic interval and other difficult zones as well. It was understood, in August 2015, that the ONGC board had approved a plan to develop the GK-28/42 discoveries. The plan was set at USD 435 million (INR 28.3 billion) and scheduled for completion in 2023. The project is understood to include a 27 well drilling programme; 14 production and 13 side-track wells. Installation of 3 platforms; GK-28-1, GK-28-3 and GK-42-1, lying in water depths of 22.5, 25.1 and 33.8 m respectively, each with topside weight of approximately 600 to 625 MT. 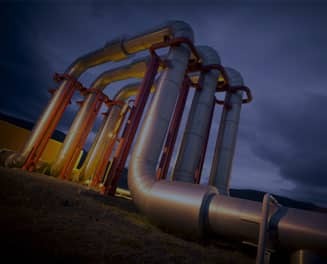 Three clamp-on structures and associated pipelines was also set to be completed by August 2018. Production from GK-28-1 and GK-42-1 is envisaged to be received at a gathering station at GK-28-3; planned to be bridge connected to the MOPU. 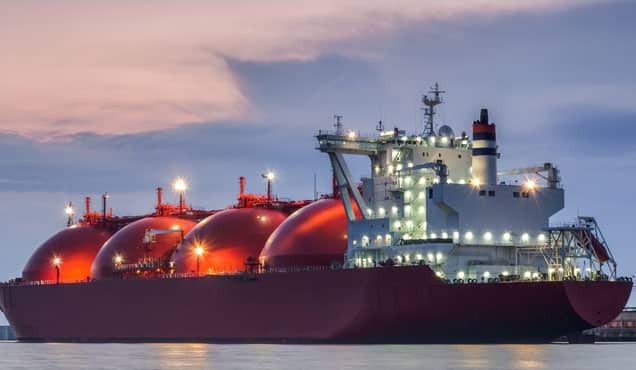 Once processed, its understood gas will be compressed from Mobile Offshore Production Unit (MOPU) and will be transported by a rigid pipeline to onshore facilities once transported back to GK-28-3. The project is expected to lead to the production of 169 Bcfg and 20.3 MMbo from GK-28/42 by FY 2035; with the completion of the development proposal of both fields expected to be completed by March 2023. In August 2017, requests for Expression of Interest (EOI) for the installation of suction piles as foundations for future construction plans for three well head platforms and another EOI for an MOPU for either a period of seven years (five year extension option annually) or ten year charter (two year extension option annually), were releases as part of the development plan. August 2017 social media posts by the Minister of Petroleum and Natural Gas, Mister Dharmendra Pradhan, mentioned the review of the development project of gas from the basin had been conducted and it looked promising for significant addition of gas to India within the next two to three years, suggesting plans are still on track for the basin to be India's eighth producing basin. Learn more about the technical content delivered by our Global Exploration & Production Service. James Isaacs is a Field Researcher, Indian Sub-Continent at IHS Markit.